The 11ft rectangular trampoline in-ground has a unique yet fantastic frame structure that will keep your children safe also it’s known for its duration. The trampoline components are top quality and the finished product looks unbelievable and due to the GoldSprings+ technology, it will deliver an even more explosive bounce. Compared to other trampolines, this one is perfect when it comes to size, this is ideal for any size garden. One of the best factors of in-ground trampolines, it is easier for younger children to get off them because they aren’t so high up. Also, there is less of a risk of them hurting themselves which is why the rectangular in-ground trampoline is designed for your children to play safely. As one of the UK’s well-known online trampoline suppliers, we are delighted to be working with an independent manufacturer like BERG. 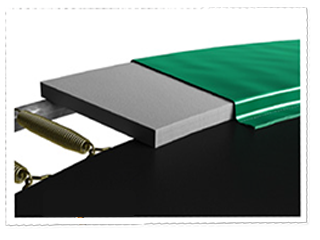 They have become the number trampoline brand in the UK and been manufacturing stunning trampolines for many of years to find the latest trampoline materials. Trampolines such the BERG 11ft rectangular in-ground uses fine quality materials for you to have a more even bounce. 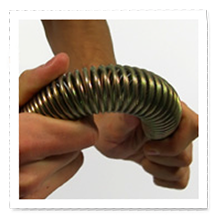 72 GOLDSPRING+ Quality Springs - These springs have been designed to gradually build up energy to create an increasing, developing bounce. 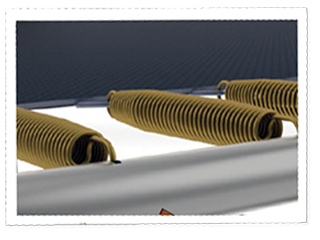 These springs are finished with a thick, rust proof layer of zinc. Here at Trampolines UK, we take pride in all of our trampolines as they are manufactured by well-known brands in the world. 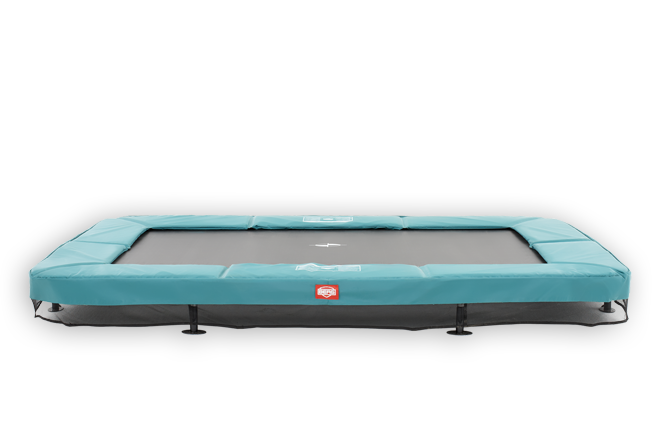 The BERG 11ft in-ground eazyfit is a trampoline ideal for all the family to enjoy hours of fun on. So call us today on 03333 660062 if you would like the purchase our 11ft rectangular trampoline in-ground. 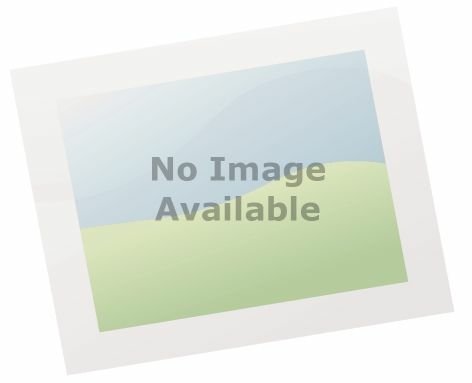 Needless to say, that Trampolines UK are one of the best online suppliers of trampolines for sale.